Timeless, high quality executive chair designed by Charles Pollock for Knoll Associates fiirst introduced in 1965 and still in production today. These chairs are in high demand due to their sleek and streamlined silhouette. 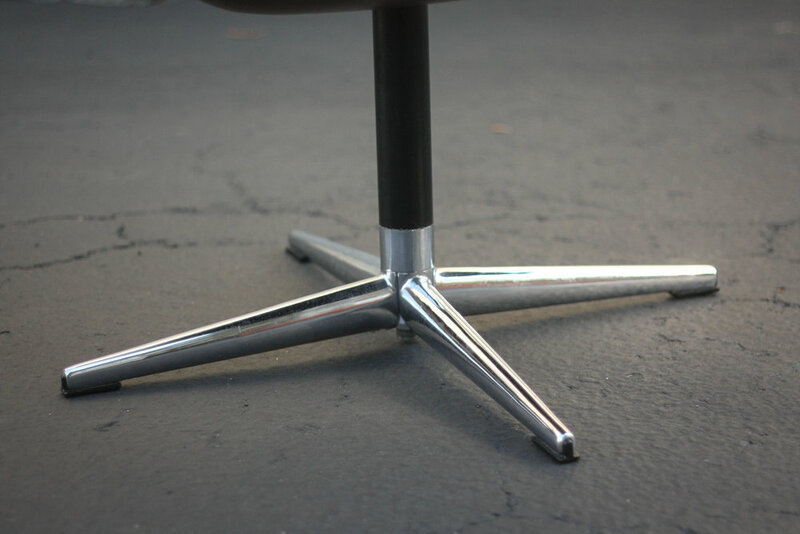 This first edition Pollock chair is mounted on a four star chrome metal base which is extremely rare. 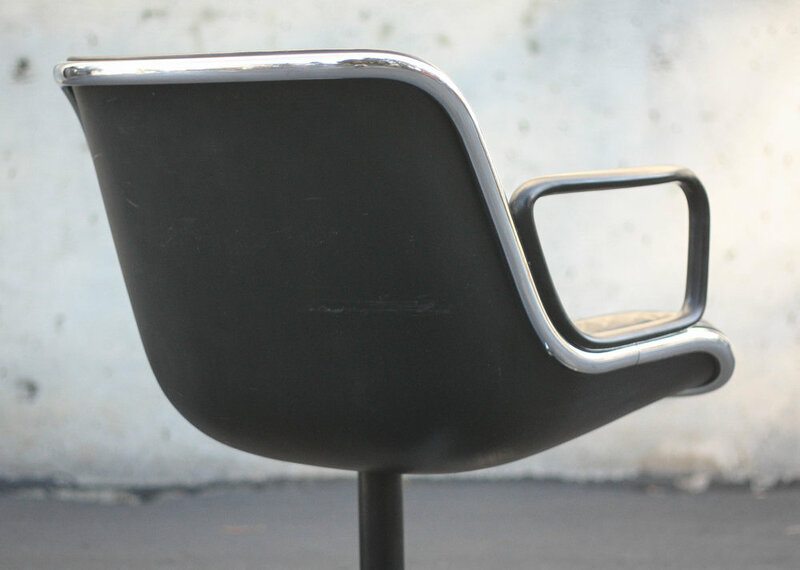 The chair has the original Knoll manufacturing label. The chair shows wonderfully, especially given its 50+ years of life. Only faint marks on the back shell and very minimal patina to the black leather.